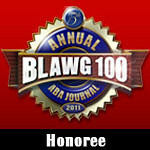 The ABA is now offering a free, full-text, search engine for on-line law reviews and journals. There are over 300 publications represented. The engine will also pull from document repositories that host academic papers, as well are related publications such as the Congressional Research Service Reports. Hit the jump above, check out the list of included resources, and try it out. It’s not like you have to pay anything for it!